The New York Yankees and Gio Gonzalez agreed to a minor league contract with $3M base if he is in the majors, per Ken Rosenthal, and it includes an op out on April 20 and additional incentives based on games started. Gonzalez has been throwing to hitters in Miami, according to George A. King III, while waiting to sign, but he won’t be ready for big-league action until the middle of April or later. Gonzalez is an insurance policy for a rotation that was always vulnerable to injury, as all rotations are, and had only the kids, Jonathan Loaisiga, Domingo German and Luis Cessa, as depth. Gonzalez, it appears, will be vying with the Yankee youth for a starting spot. While Cessa in particular is having a successful spring campaign, it appears with the acquisition of Gonzalez that the Yankees weren’t convinced that the rotation was set for the coming season. Yankees general manager Brian Cashman once again looks like a genius for bringing in a veteran who finished the season with a postseason contender and pitched to a 2.13 ERA and a 3-0 record in 5 games for the Milwaukee Brewers down the stretch in ’18. But I have to wonder how much economics drove the decision not to bolster the rotation with an arm like Patrick Corbin when he was available rather than wait until the season is almost upon us and the Yankees have two injured starters to go out and pick up Gonzalez for $3M. 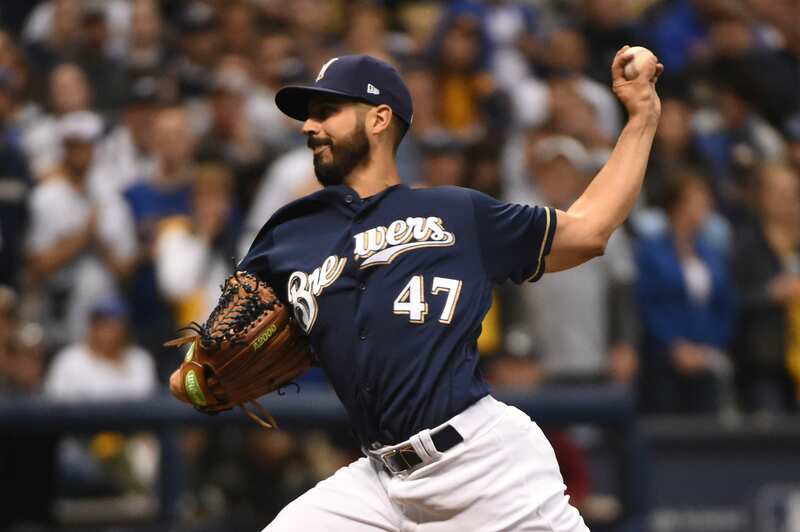 Gonzalez may be seeing signs of age, but his work for the Brewers after being traded there last season is probably the reason he is in pinstripes now. Cashman is hoping to catch lightning in a bottle with Gonzalez and see what he has left to contribute to a winning ball club. Expect to see Gonzalez in one of these situations in the coming days, according to Boone in nj.com – piggbacking off a start by Masahiro Tanaka in a start against the Blue Jays, pitching in a minor league game or in a sim game. It would appear that the Yankees are looking to ramp up Gonzalez as a starter. The battle between the veteran southpaw and the young Yankee pitchers is one of the most exciting battles of the spring yet and promises to be the most significant.